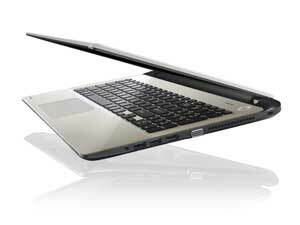 Toshiba L50-B-1J 15.6" Best Gaming Laptop Core i7-4510U 16GB RAM 1 TB HDD Win 8. A perfect gaming laptop to give you an ultimate gaming experience. 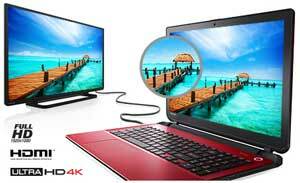 You can have all your thrills going on with such superb stylish and speedy laptop that makes your gaming experience to the next level. The device packed with so many feature is super lightweight which allows you to have you gaming device take anywhere with you. And you can have your gaming experience going on for long anywhere you want. The design of the device is kept so stylish so that to add a modern touch to your gaming experience. Not only the super stylish design and flashy colors but the non-framed tiled keyboard gives you a super cool look with the ease of use of ergonomically designed keyboard pad and touch pad. The display is designed to be HD quality display in order to make you enjoy your games in high quality resolution images. The image quality is made so sharp and crisp yet so smooth that it pleases your eyes while gaming sessions. A 4k display into ultra HD imaging display brings an image come to live. 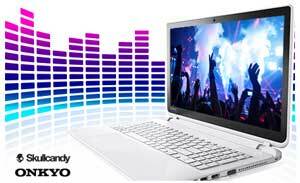 The high end gaming laptop is with the storage capacity of 1TB that gives a lot of space for your games and other multimedia stuff to be stored into your device and makes your games run like fast and faster. It also gives a numerous stations of connectivity such as two USB 2.0 and USB 3.0 ports, VGA, an HD display connection and representing HDMI port, and SD card slots.